Actor Arshad warsi's movie Fraud Saiyaan will hit the screens on 18 January. 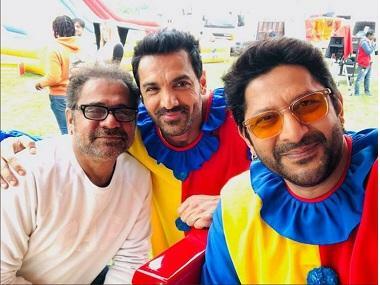 The trailer revealed that the plot revolves around the character of Arshad Warsi and the multiple dalliances he has with women while conning all of them for money. The twist arises when a woman named Chanda forces Warsi's character to marry her and by default, ends his escapades. She threatens to malign him and destroy his reputation if he refuses to comply. The lyrics are written by Kumaar and the music is composed by Sohail Sen. Shadab Faridi has lent his voice for the song. The lyrics such as "Ladki badle ye har mod pe, Ishq kare limit todh ke," share an insight into Warsi's character who is infamous for his romantic shenanigans, and reveals the plot of the movie. Directed by Sourabh Shrivastava, the movie is based on a true story. Producer Prakash Jha, in an interview with Zee News said, "Fraud Saiyaan is a typical Hindi heartland comedy film."